Click here for more information about the program. Or call us at (209) 223-3194. 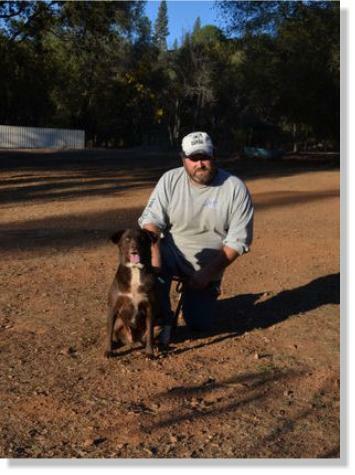 Our very cute little girl Dallas is off to her new home about 2 miles from the ranch. She has a new Cattle Dog buddy to play with, acreage to run and play on, and two very loving new parents who will give her everything a dog could ask for. 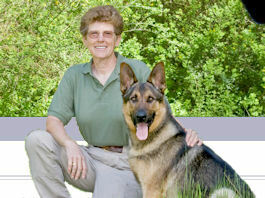 And Dallas, rumor has it that you get to come back for ongoing training in our group classes!! See you next weekend! 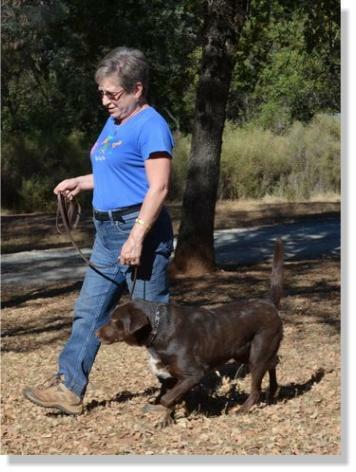 Our girl Dallas comes to us from the folks at the Amador County Animal Control and Adoption Center. 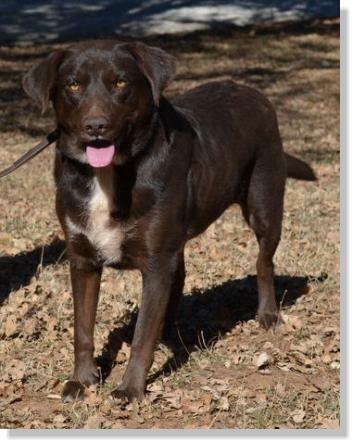 She is about 2 years old and looks like she could be a Chocolate Lab/Border Collie cross. She is a very sweet little girl who loves to be with people. She is very smart and willing when It comes to her obedience training and she already knows most of the basics! 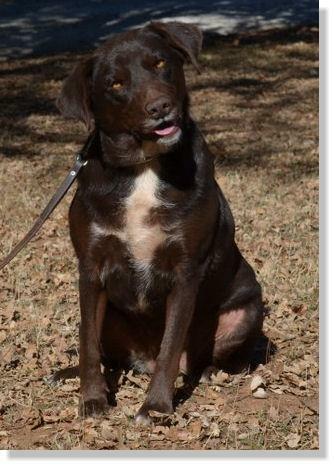 Dallas gets along great with other dogs and is currently living with our two boys, Clancy and Ky. They all take turns on who gets to be the TOP DOG in the pack. 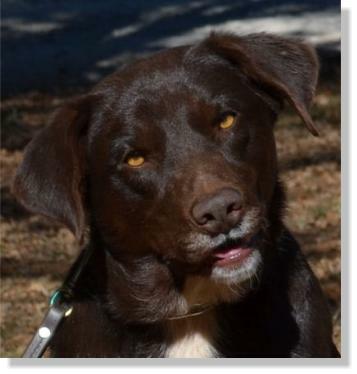 Dallas is very playful and would probably do great in a household with another dog or she would be fine as an only dog. Dallas came to the shelter very fat and with a horrible skin problem. Since she has been getting a good and healthy diet, she looks much better. Her coat has grown in nice and healthy and she has lost most of her extra poundage! In another month she should look fantastic! If you are interested in meeting Dallas, please give us a call to set up a time to come out to the ranch. She just loves company!